Hi there! 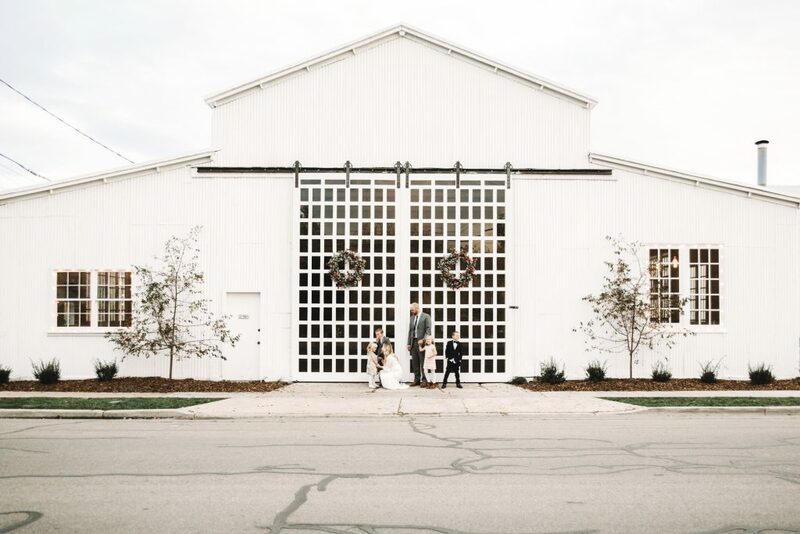 We’re Seth and Jenna, the husband + wife team behind @Whiteshantydesign. Two years ago we bought a barn style industrial warehouse that we run our businesses out of. In the front of the warehouse we do weddings and events, and in the back we manufacture all kinds of industrial handmade furniture that we ship all over the world. About nine months ago we decided to turn the 3,000 square foot attic portion of the warehouse into our home. We did everything from the wood floors and finish work, to the furniture and electrical ourselves. 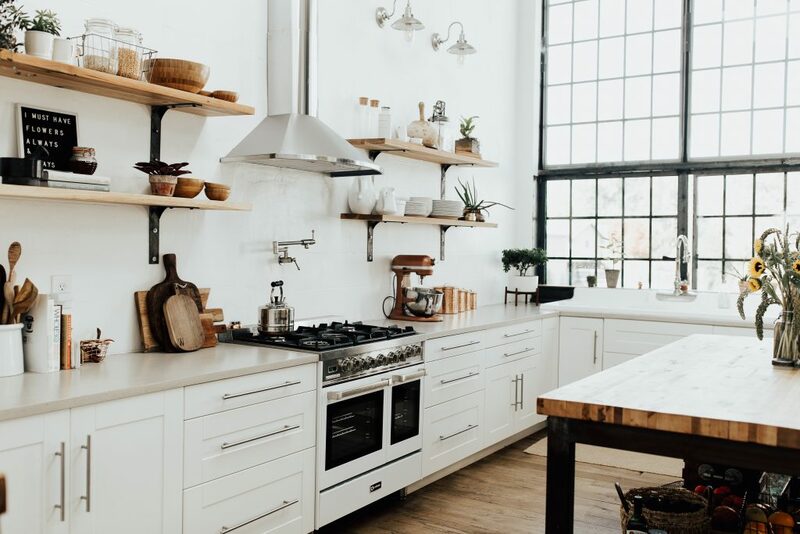 We had a very specific look that we wanted and knew the kitchen would be one of the most important rooms in the home. After all, it is where we gather the most for our meals and memories. 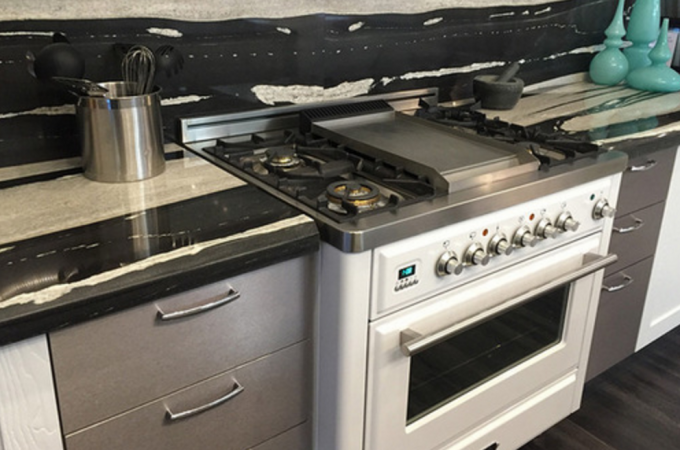 We went with a European industrial style design throughout our home, and the Verona 36” Dual Fuel Double Oven Range helped us complete the look. Verona offers a variety of colors to choose from, but the True White was exactly what we had been searching for! Not only is it stunning aesthetically, but the functionality is beyond what I could have hoped for! 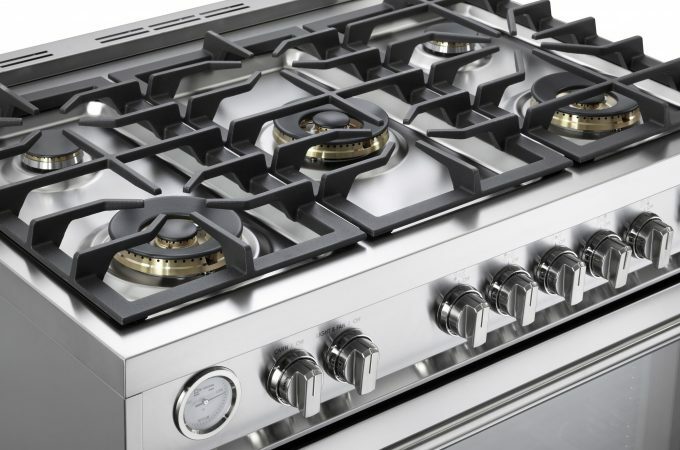 I have never had a gas range before, and can I just tell you what a difference it makes?! I love the open flame, and continual grates make it easy to have multiple dishes cooking simultaneously. 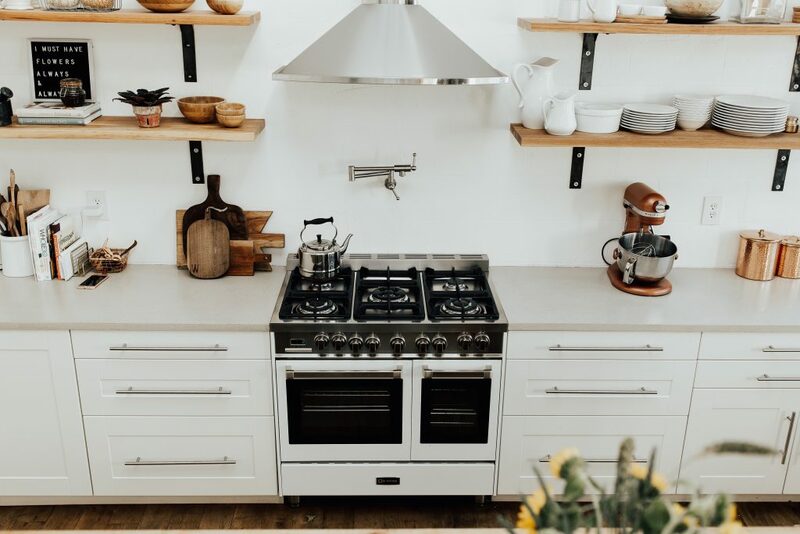 We’re all about providing wholesome meals for our family, and with five different burners there is plenty of room to cook everything at once. The burners on the cooktop sit closer to the grates than traditional ranges which helps our dishes cook and get to the table more quickly. I love having the double oven to have dinner going in one side, and dessert in the other. 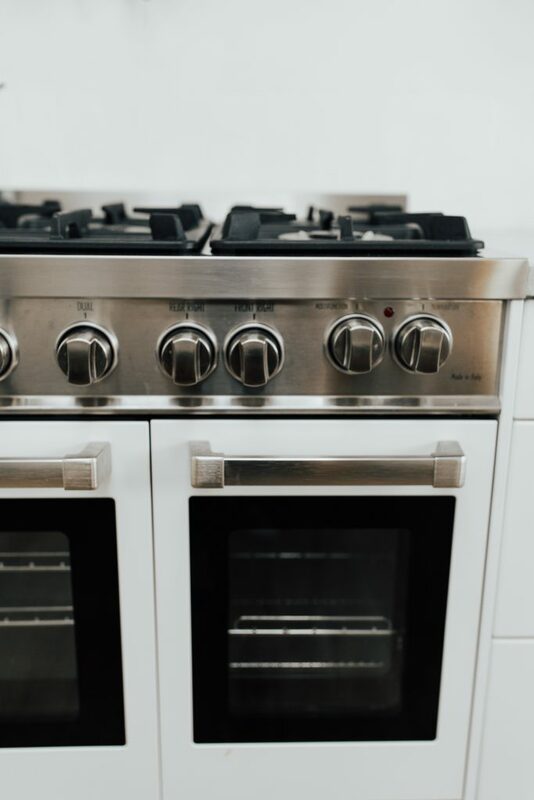 I have plenty of mouths to feed, so the spacious convection ovens are a huge plus for me. 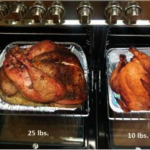 When I found out that the larger oven can cook a turkey up to 25lbs., I was sold. I’m especially looking forward to trying out all seven of the cooking modes in both convection ovens. I cannot say enough good things about my Verona, and if I had to do it all over, I’d choose them again and again. 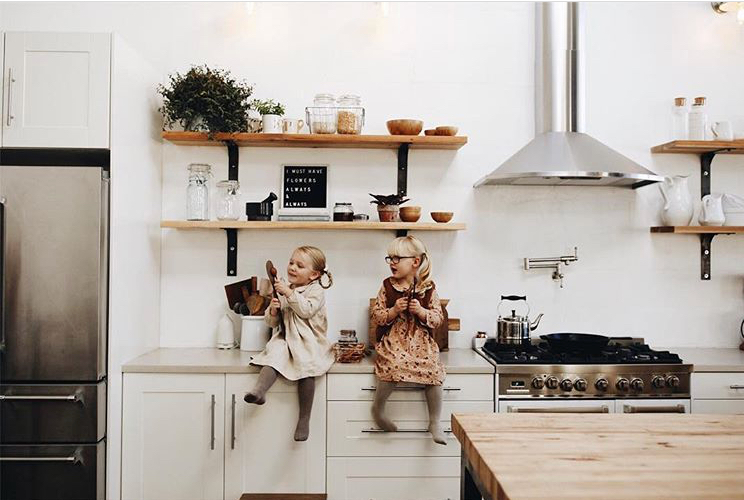 It really was the missing piece to finishing off this space in our new home, and I look forward to baking cookies and making meals for years to come with my five little ones gathered around me in our kitchen. Thank you, Verona, for making it happen! You can find us and follow more of our journey on instagram at @whiteshantydesign.